As humans around the world grow in wealth and number, our cities and farms are eating into the space and energy available for wild ecosystems. This series so far has focused on ways to be more efficient in our consumption of space and natural resources, to give more breathing room to the living things with which we share this planet. But there’s a geographic component to solving this problem. Human encroachment on natural habitat is not happening evenly across the globe, and is often concentrated in the most productive and diverse areas. We’re chopping down rainforests to grow cattle and oil palm, while leaving most deserts alone. 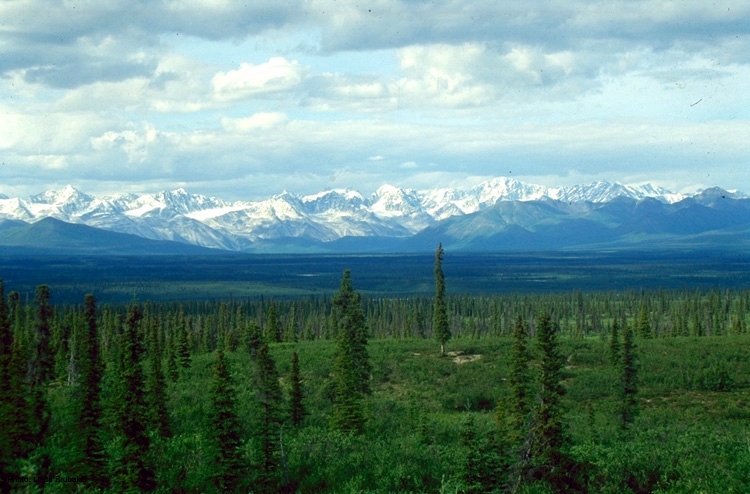 We’ve decimated the tallgrass prairies of North America to grow corn and soy, but left large tracts of Siberian and North American boreal forest relatively pristine. If we acknowledge that humans will continue to harvest more resources from the earth, we should think about our conservation priorities in different ecosystems, considering their biodiversity, ecosystem services, and economic potential. Through thoughtful cultural, technological and public policy changes, we can spread the pain across biomes in a more sensible way to spare endangered habitats. North American tallgrass prairie exemplifies a habitat we have taxed far too heavily. Areas once blanketed by a variety of grass and wildflower species and a profusion of diverse insects and birds, as well as emblematic creatures like buffalo, are now almost uniformly monoculture farmland. Estimates of the tallgrass prairie loss range from 82-99%. Whatever the figure, this ecosystem is almost entirely gone. The effects of this loss will reverberate far beyond the prairie, and make the earth less livable for humans and other life. Fertilizer from intensive farming on former prairieland, with no natural swales to catch it, is washing into the Mississippi river and the Gulf of Mexico, killing off massive numbers of fish and endangering seafood industries. In the high mountains of Mexico, migratory monarch butterflies are dying off in droves as they lose their prairie milkweed foodsource to farmland and suburbs. If we want to avoid losing all the biodiversity of North American tallgrass prairies, and other stressed ecosystems, we must find room for ecological restoration and nature preserves. But realistically, if we cut into agriculturally productive land in one of the world’s main breadbaskets, we have to find a way to account for that food production. The best way to do this would be to cut down on food waste, eat less meat, and generally increase our efficiency. But as more and more humans demand more and more food, fiber, and building materials, it’s not hard to predict that new land will come under till. We can be smart about where that land is. There are practical reasons why some ecosystems are more heavily taxed than others: clearly, oil palm grows well in Indonesia, less so in the Gobi Desert. Soy and corn take to the rich topsoil and mild conditions of former prairie lands, while growing these crops in Siberia would be prohibitively expensive or impossible. There are also historical and economic reasons. Crops are grown not only based on where they thrive, but also on how cheaply they can get from there to consumers. Resource use decisions have historically been made on a national level, which cannot make sense in a global world. How can we get past these hurdles, to cut back on food production in stressed ecosystems, and expand it in harsher climes? In today’s globalized supply chain, we can make substitutions for many crops grown in sensitive areas. In many cases, these crops are the feedstocks for industrial processes that can be altered to take different inputs. For example, syrup, starch, animal feed, biofuel and plastic don’t have to be made from corn. The pulp from eucalyptus plantations draining water tables in biodiverse Peru can be replaced with pulp from boreal pines. In other cases, it may be on us to tweak our kitchen recipes for more environmentally friendly substitutes, as many already do. But assuming that algae can replace corn, and pine can replace eucalyptus, we need figure out how to ramp up production of these substitutes in harsh, underused ecosystems. This is a matter of choosing the right crop and the right technology. In the case of forestry in boreal regions, that might be as simple as good planning and enforcement. In harsher areas, it might involve some sci-fi fixes. New technologies coming online can make deserts, oceans and cities farmable in ways they were not before – we can now produce food, fiber, and building materials in less stressed or relatively barren ecosystems. However, we face a host of new environmental problems as we expand into these new grounds. Deserts are a classic underutilized biome. The abundant sun in many deserts can make for very productive farming, if water is managed carefully. In wetter marginal lands, this might mean drip irrigation, which efficiently delivers water where it needs to go. Even in bone-dry deserts, we can farm with more extreme technologies like contained hydroponic systems, where water recycles through clear plastic tubing. These sorts of farms are in the experimental phase, but hold great promise to expand food production into relatively barren parts of the world. In addition to these more intensive and contained farms, “greening” projects could potentially change deserts and scrublands into more productive ecosystems. Large-scale projects are proposed and underway to green deserts around the world by planting trees, with mixed success. Of course, deserts host their own ecosystems, and we should be careful about the ecological effects of harnessing resources in them. 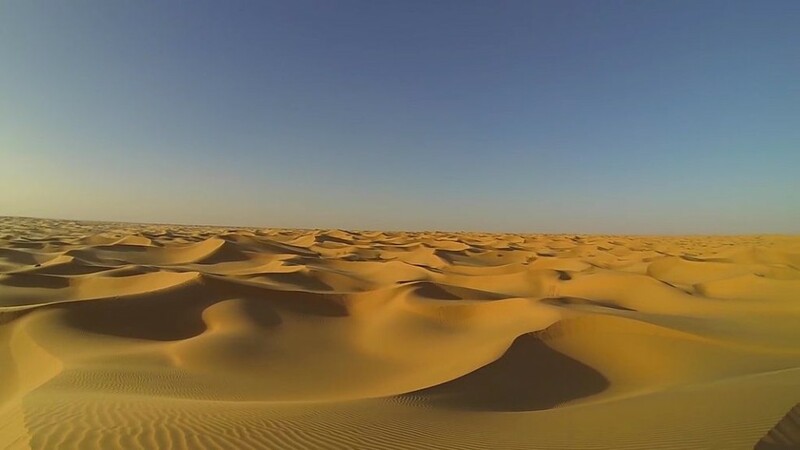 In many parts of the world, such as the Sahel scrublands bordering the Sahara, desert is encroaching on previously productive scrub and farmlands. That spread might be halted and even reversed through judicious irrigation projects combined with planting drought-tolerant, economically valuable species. This sort of intervention has a variety of environmental, economic and social benefits – it can bring previously unproductive land back into active use, sequester carbon through the growth of wood, and improve the lives of people living on marginal land. Greening projects currently underway, such as the Three-North Shelterbelt Project in China, have been plagued by technical difficulties arising from planting monocultures of trees like poplars that require too much water. These trees might actually further dry the desert by sucking up water at the roots and transpiring it at the leaves, causing serious damage to the fragile desert ecosystem. However, despite these serious missteps, we shouldn’t yet abandon the idea of greening the desert. A more refined look at the forestry, hydrology and ecology of these greening projects – basically, planting native, drought-tolerant trees of ecological and economic value – could benefit these scrublands immensely. 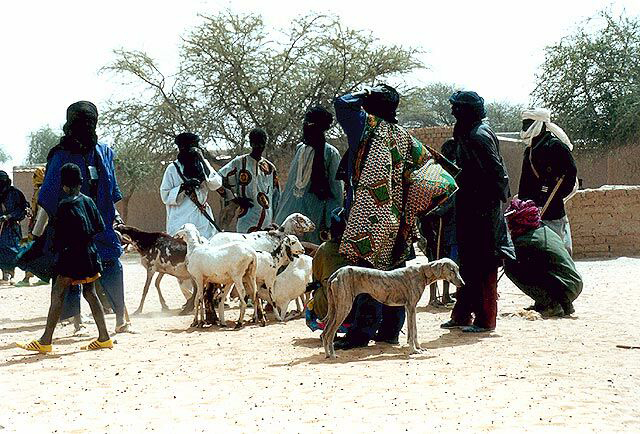 The multinational Great Green Wall Initiative in the Sahel holds promise to improve upon the mistakes of the past and halt the spread of desert. We must harvest the resources of the Earth, but every calorie of energy we take is one less calorie flowing through natural ecosystems. In this series, we’ve discussed some ways to lessen the impact of our appropriation of the carbon cycle, through family planning, urban planning, agricultural reform, and biofuels. These schemes would mostly reduce the overall size of our slice of the carbon cycle. But it is also important to dilute the environmental impact of our consumption, so that we don’t totally destroy heavily taxed ecosystems like prairies and rainforests. There are many solid reasons to doubt this “spread the pain” approach. We don’t yet know how to grow food well in these new ecosystems, and many of our attempts to do so have resulted in ecological damage. Perhaps most damningly, we could grow enough food for everyone on the land we have, if we cut down on food waste and eat less meat. But as our voracious appetite for resources continues to crowd out wildlife, we should at least prioritize preserving ecosystems in more biodiverse, more threatened parts of the world. If we keep the status quo, we could end up permanently losing important prairies, rainforests, and other diverse, productive ecosystems, while leaving more than enough room for all the species in less productive and biodiverse areas like deserts and boreal forests. This is not at all to say that we should start carelessly rampaging through boreal forests in our quest for natural resources. Our first priority should be reducing our overall environmental impact, and we should be cautious in our expansion into new habitats. But all else being equal, it better to take resources from places that are more able to take the stress. We need to find ways to spread the pain of our global harvest.